Elements Applied: Dried thallus is applied in herbal medicine. Active Components: Polysaccharides account for a variety of herb’s effects. Its extract, also called carrageenin, is composed of sulphated chain galactans. These components come in two kinds: a gel-formed substance named k-carrageenin, and a substance different from gel, called l-carrageenin. These ones share equal structure, having anhydrogalactose and o-galactose residues with high content of sulphate esters, but the difference consists in position, type, number, and proportions of sulphate esters. The herb includes various molecular grades of various weights. Additionally, it includes vitamins B1 and A. Used For: The herb is known to boost expectoration, reduce inflammation, and soothe various pains. 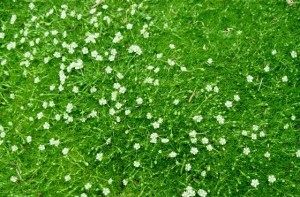 Conventionally, Irish Moss has been applied for respiratory conditions, and commonly prescribed for severe coughs, pulmonary conditions, and bronchitis. Additionally, the remedy is employed in gastro-intestinal diseases, accompanied with pains, like duodenal or stomach ulcers and gastritis. Its pain-reducing ability is also applied for urinary tract inflammatory conditions. Irish Moss has been applied as a food supplement for the sufferers of diabetes. However, its main application consists in promoting quick convalescence from diseases like pneumonia and tuberculosis. Irish Moss belongs to a class of herbs employed along with nutritional supplements to restore one’s health after the illness. According to recent studies on animals, Irish Moss is potent of eliminating viral activity of mumps and influenza B. Hence comes the conventional application of the herb in the respiratory conditions. Additionally, the herb can be applied for healing ulcers and in resolving purposes. Additional Info: The plant is indigenous to the Atlantic area of North America and Europe. Preparation and Intake: If applied fresh, the herb should be washed thoroughly and then added in a quantity of one cup to three cups of flavored water or milk. The mixture is kept on low heat to dilute the abundant part of seaweed. The undiluted parts should be then filtered out of the result. The dried extract is mainly applicable for decoctions. To make the decoction, infuse ½ oz of dried extract in cool water for fifteen minutes, and boil up the result for ten to fifteen minutes, aiding by three pints of milk or water. After that, filter the result, and aid it with cinnamon, ginger, lemon, or licorice. Make its sweet according to your taste. Safety: There is no data concerning the plant’s safety level. It is possible that the herb interacts with the medicine you use. Before using it, speak to your health-care provider.